Nathan Jalani Taylor new art show entitled "Room 111" at the Holiday Market @ Hewn Arts Center, 140 Sip Avenue, Jersey City, NJ (Near Journal Sq. PATH Station) December 6, 7, 8th. 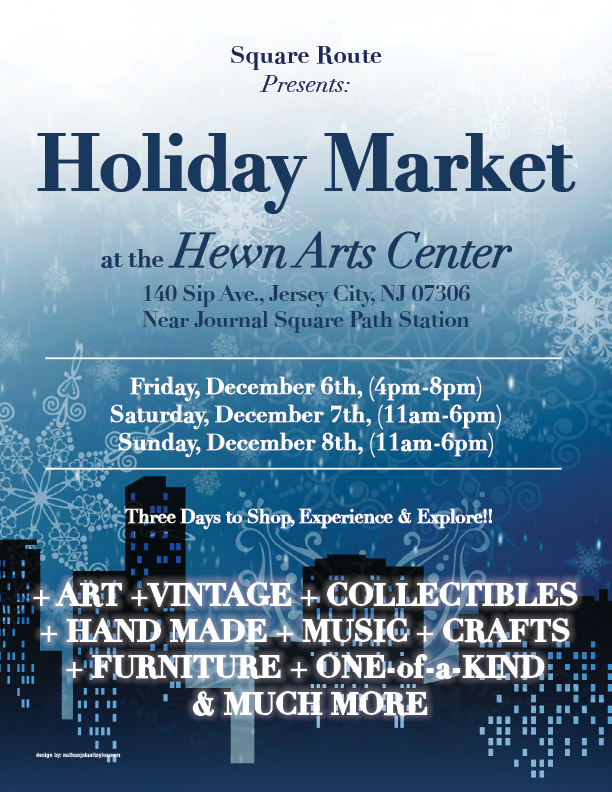 There will be 50+ artists and craftspeople selling great art and one-of-a-kind gifts!